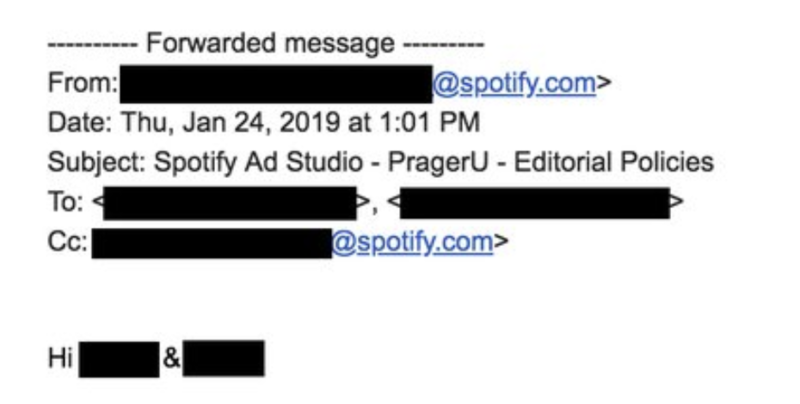 Just take a look at the arrogant email Prager U received from Spotify! ..whose adherents understand that conservative arguments, like Prager U’s, expose it as fraudulent. Censorship is the only weapon these left-liberals have – they’re not up to free and fair debate, so seek to suppress dissent using collabo companies like Spotify! In addition to Spotify banning our ads, YouTube continues to restrict over 80+ PragerU videos. Over 500,000 Americans have signed our online petition urging Google and YouTube to end its censorship of conservative ideas. Our goal is to reach 1 million signatures by the time we meet Google in court. Nice to see Zuckwit’s censors shamed into a rare apology, with his nasty geekstapo saying sorry to Prager University. …it’s always agreeable to hear of any sign of contrition for Facebook’s many sins, esp. since they have never kept their empty promise to explain their extirpation of my presence from their pages. But bet your boots the slimy little billionaire will continue his war on the Resistance. 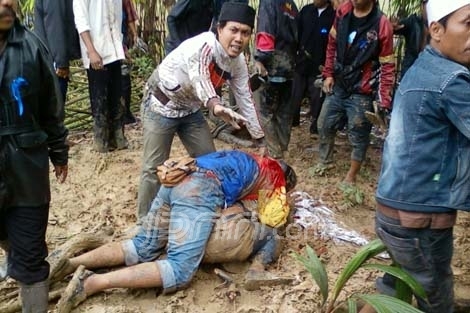 “This is very troubling behavior from the world’s largest social network. All true, but not only Americans, sir! 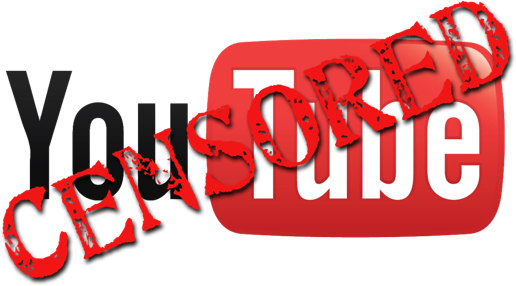 Fight YouTube’s Leftist Censors – Sign Here! I honestly had not heard of Prager U before last week, and given the determined efforts by’social media’ giants like You Tube, I suspect many of you readers haven’t either. However, in view of their appeal – that we make people aware of their petition – I checked them out. THERE’S NOTHING WRONG WITH THEM AT ALL! They make videos to educate millennials and Lord Knows, that’s something that’s badly needed! 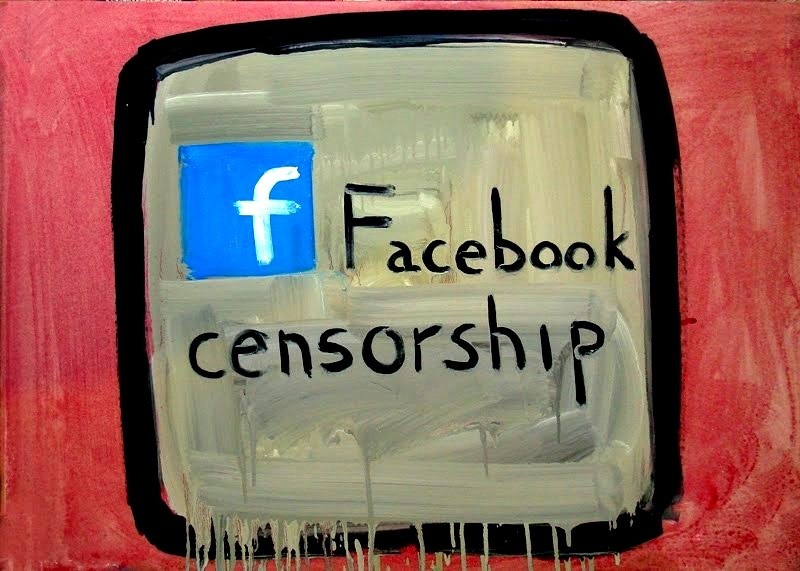 Tech giants like Google and Facebook always deny that their platforms favor some viewpoints over others, but then they don’t do much to avoid looking censorious. This week a conservative radio host and author is wondering why YouTube classifies his educational web clips as “potentially objectionable” material. This is the message YouTube DOESN’T want you to read. That’s because YouTube, the world’s number one video sharing site, doesn’t like conservatives or conservative ideas. In fact, YouTube has gone out of its way to block conservative ideas from those who need them the most: university students, parents and people seeking to educate themselves in public spaces. Recently, YouTube “restricted” a number of informational videos produced by PragerU, a non-profit conservative educational organization, which aims to spread awareness of pro-American ideas, history, capitalism, and conservative values. By placing PragerU’s educational videos on YouTube’s “restricted list”, YouTube has made it impossible for people to access them in public places. According to the YouTube guideline for restricted videos, the PragerU videos that YouTube has restricted have “potentially objectionable” and “potentially inappropriate” content. Let’s be clear: these videos are not restricted for anything violent or racy. On the contrary, PragerU’s five-minute, animated videos are uncommonly wholesome. These videos are restricted because, simply stated, YouTube objects to their ideas – conservative ideas. We need your help to tell YouTube that their restriction of PragerU videos is wrong. Add your name to our petition, and join the thousands of Americans who value the free exchange of ideas. We’re confident that our principles – American principles – can withstand open discussion and rigorous scrutiny. It’s telling that our adversaries don’t feel the same way about their own. You make a good point, about giving political leaders a word of encouragement when they do good things. If we only complain when they make mistakes, it’s all stick and no carrot. Not that I say politicians are asses. 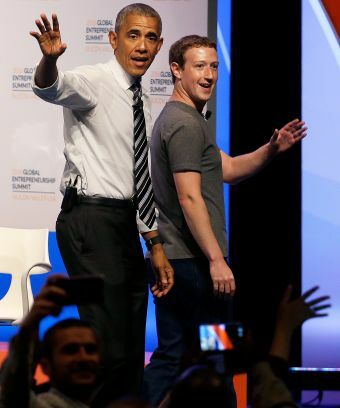 Facebook,Google, Youtuber, all these social media giants in the hands of liberal billionaires. We need to get alternatives going but we conservatives never seem to have the money men on our side. But somebody did once say blessed are the poor.